And then, I even created a free e-book for how you can make slow cooked chicken and then turn it into bone broth. If you don’t have it yet, you can grab it HERE. To this day, I still make bone broth (and vegetable broth), and believe in it more than ever. Why? It’s simple, and it works for healing. If it didn’t I would never have remained consistently passionate about it almost 10 years later. 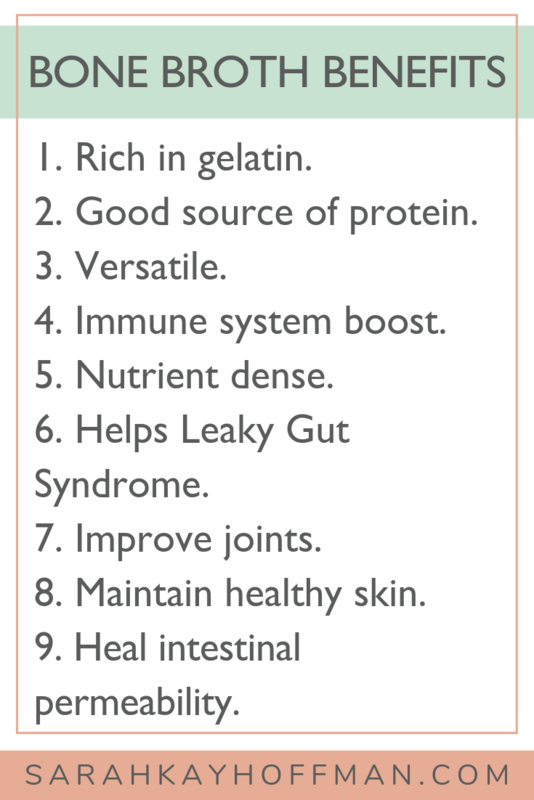 Click HERE to save these bone broth benefits for later. Rich in gelatin. And I believe in gelatin for gut healing. Good source of protein. I try to get as much protein as possible, but if you’ve been following along lately, it has not been dominated by meat. Versatile. You can do so many things with broths; from straight drinking it to making entire soup meals out of it, and even freezing it into cubes for flavor enhancers to other meals. Immune system boost. Because bone broth is packed with proteins (glycine and proline) that are well-known for nourishing the lining of your gut, it is thought to help give your immune system a boost. Nutrient dense. Bone broths contain minerals in forms that your body can easily absorb: calcium, magnesium, phosphorus, silicon, sulphur and others. Helps Leaky Gut Syndrome. You can read all about it in 31 Specific Things to Heal a Leaky Gut. Improve joints. Bone broth is a natural source of collagen, which is great for the joints. Maintain healthy skin. I’ve already talked about collagen and skin; because bone broth contains collagen, it’s great for the skin. But mostly the reason most of you care about bone broth is because of its implications on the gut. 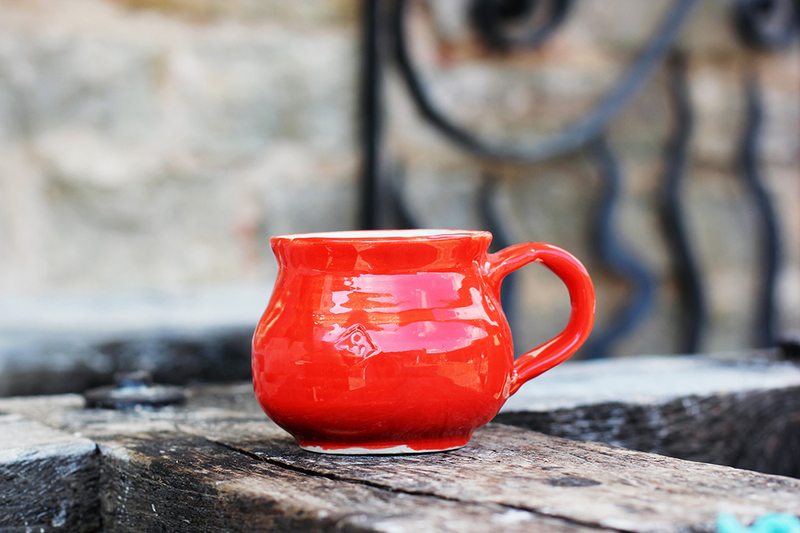 Bone broth (or stock) is fabulous for healing intestinal permeability. 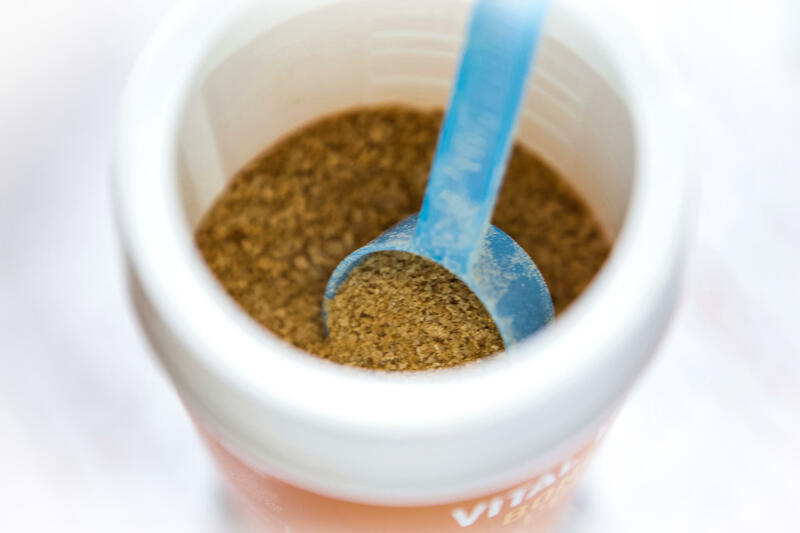 It contains collagen, which nourishes the intestinal lining and reduces inflammation. Plus, it’s easy for a damaged gut to digest and reap the benefits of its protein and minerals. Can You Recommend a Packaged Bone Broth? Honestly? I have only found a few I really like. And while I will never say that any of them can and should completely replace the art of homemade broth, I will remind you that I am a realist. We are busy and constantly on-the-go. It’s not realistic to sit around making bone broth 24/7. 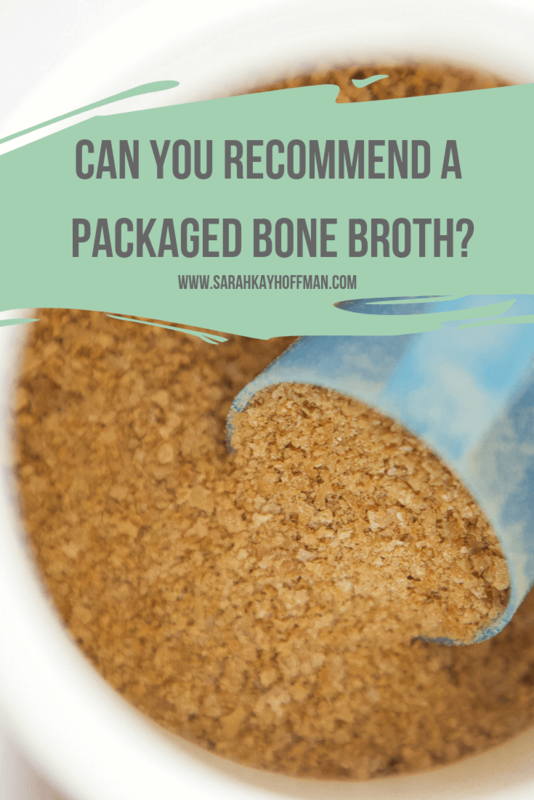 Because of that, I will share some of my recommendations for packaged bone broths from time-to-time. 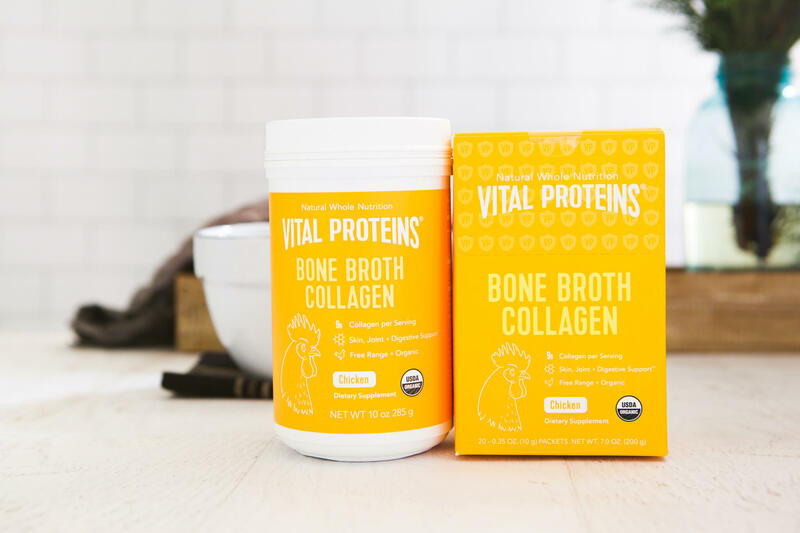 I’m starting with the Vital Proteins Bone Broth Collagen. 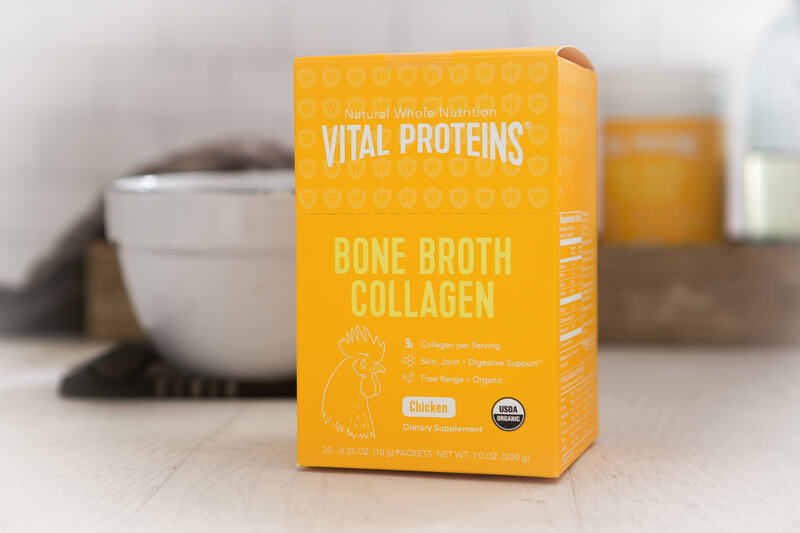 Because I have long trusted Vital Proteins for all things collagen and gelatin, it only made sense that I would try and love their bone broth. The product comes in two flavors; chicken and beef, and also in two “sizes”; regular canister and on-the-go single-serve packets. So awesome, right? 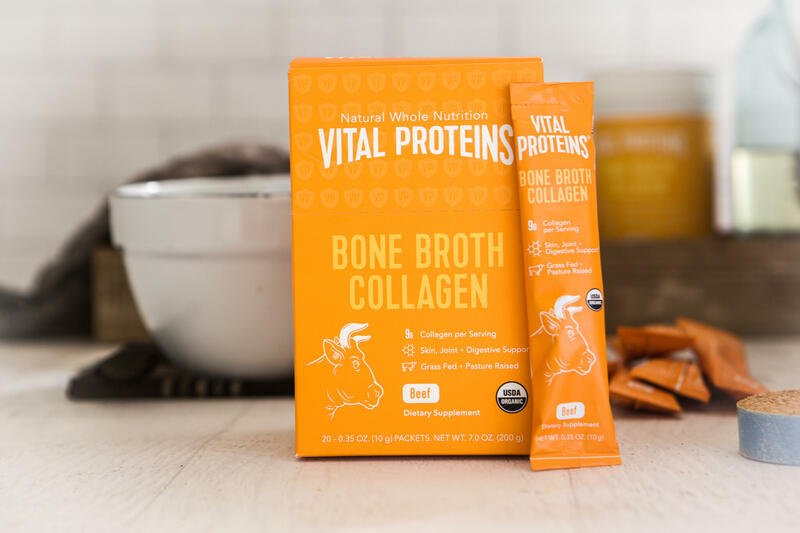 The beef flavor is crafted with bones from grass-fed, pasture-raised cows and is simmered slowly to extract maximum nutrients. One scoop (or one packet) contains just 40 calories with 9g of protein and 9g of collagen. The chicken flavor uses bones from free-range chickens and is simmered slowly to extract maximum nutrients. Its benefits and nutritional profile are the exact same as the grass fed beef. Choosing one over the other will only depend on your personal taste preferences: beef or chicken flavor. Stir into hot water, tea, or other savory beverages. This is the simplest, most basic way to use the product. When you are really pressed for time, but want to get your bone broth in, do this. Works every single time. Mix with stews, soups, or sauces. It’s so easy to mix in for an instant boost. Add into recipes for entrees. Like #3, add into any savory recipes whenever and however you desire. Quite honestly, the way I add in Vital Proteins Collagen and Gelatin to anything and everything (usually with a sweeter flavor – smoothies, oatmeal, nice cream, etc.) 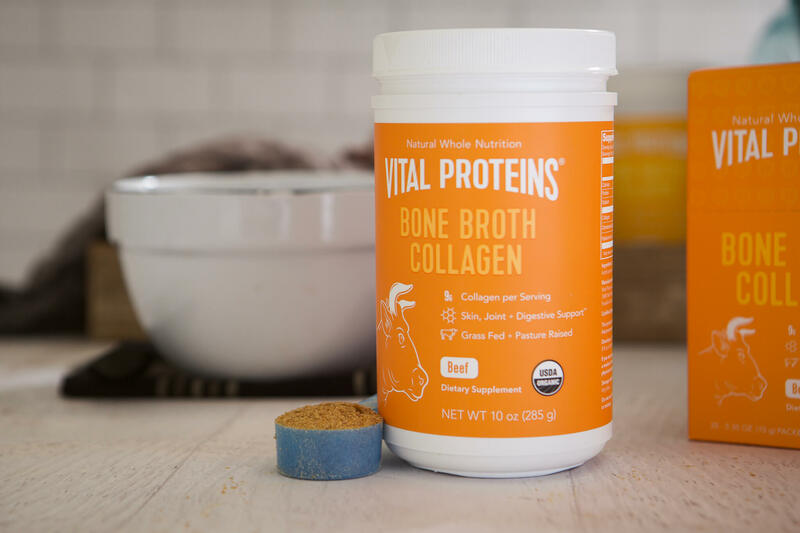 is exactly what I do with the Bone Broth Collagen. The only difference is with the bone broth its savory vs. sweet. If you separate it out in your mind like that, you’ll have plenty of ideas for incorporating it. Let me know in the comments below if you try this product and your thoughts. Stay tuned for early 2019 when I’m hoping to get you my Instant Pot Bone Broth recipe, too. 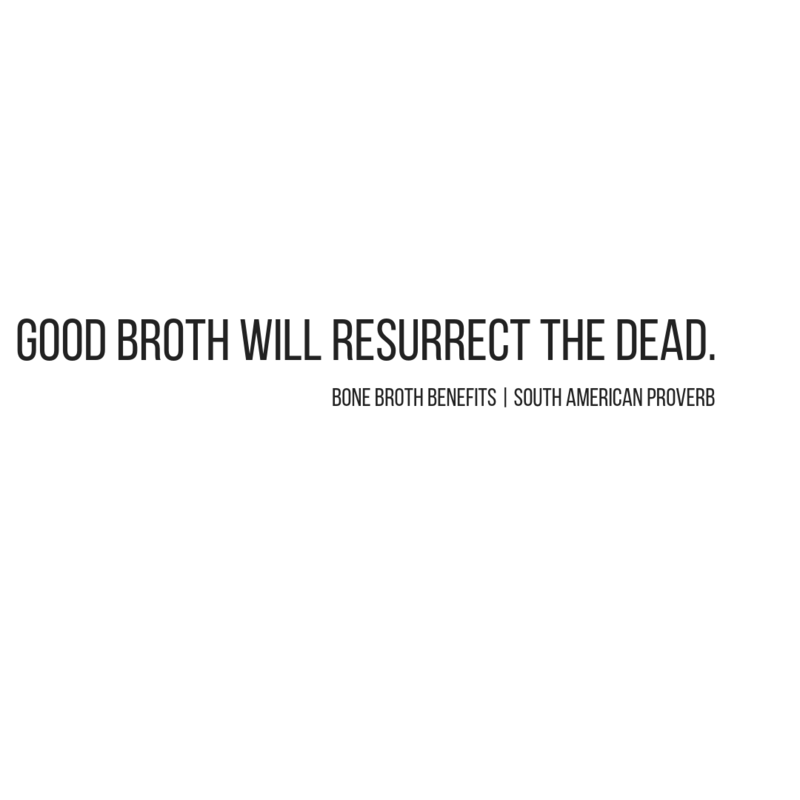 Did I already mention just how much I love and believe in all things bone broth for gut healing? !